We hear a lot of consternation from readers whose parking sensors have failed, leading to big garage bills for complete replacement systems due to no central source of spare parts. Happily GSF Car Parts has now added a significant range of individual sensors to its inventory, covering around 6,000 vehicle applications. Most parking assist systems rely on ultrasonic sensors that help calculate the proximity of obstacles by emitting acoustic pulses, and then monitoring the return intervals. As obstacles gets closer, drivers are warned by shorter tone gaps that finally merge into a continuous sound to signal minimal space - usually below 30cm. However, thinking they cry 'wolf' too much, many drivers end up ‘guestimating’ the space remaining after the continuous warning starts. This, combined with the exposed position of the sensors in the very wet and hostile environment of the rear of the car often leads to failure of individual sensors. This is all too often been followed by surprisingly expensive dealer-only repairs, with the high prices of individual sensors compounded by the need to buy a full set. GSF’s new range now offers a suitable alternative. Individual sensors are available as direct replacement for original equipment, covering manufacturers including VW, Audi, Mercedes, BMW, Citroen, Ford, Vauxhall, Nissan, Mitsubishi, Toyota and Volvo. Fortunately, the sensors are usually simple to replace; providing you can access, it’s often just a quick plug-in job, with the sensors then secured by clip mountings. 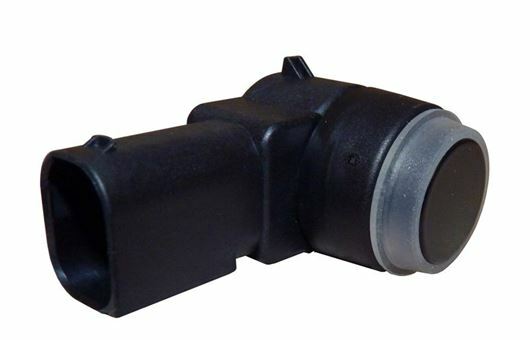 After using a vehicle registration search to identify the right sensors, drivers can order online at www.gsfcarparts.com for home delivery, or collection from their local GSF branch.